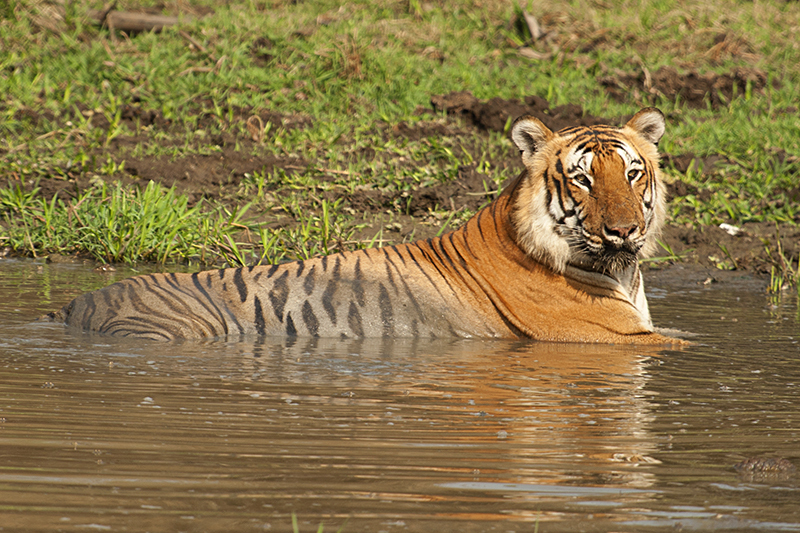 We had some exciting sightings during this trip to the Bandipur National Park. And the sheer variety of wildlife sightings made it a memorable trip. We would rank this visit as one of our best ones to Bandipur. In this post, we wanted to showcase some of the amazing wildlife portraits observed during this trip to the Park. The gorgeous sunrise in the feature image (above) was taken during one of the morning rides. 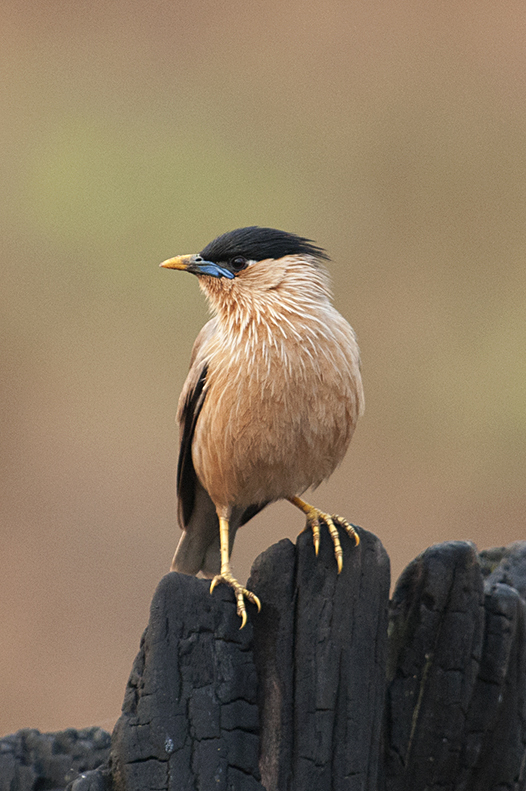 Below is the Brahminy Starling that we found perched on a dead tree stump. Along with a clear background, it made for an amazing composition. 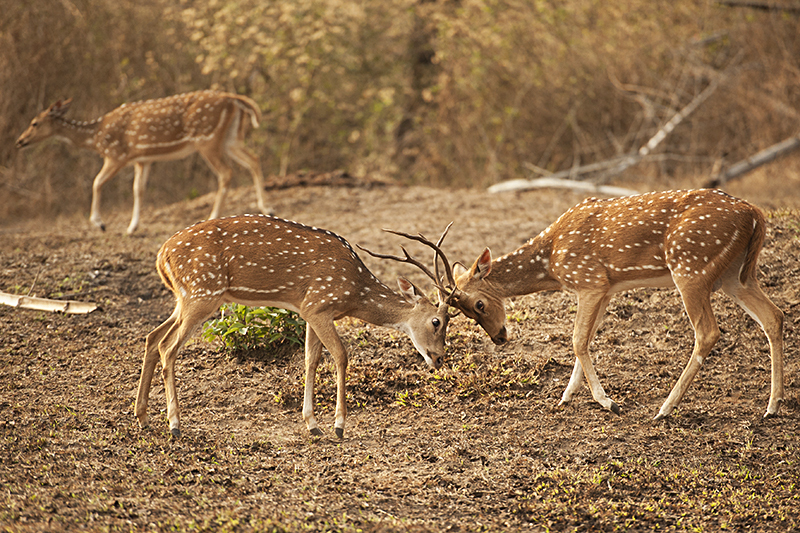 The sparring behaviour of the Chital Deer (above) is typically seen during the rutting season when the adults showcase their strength. 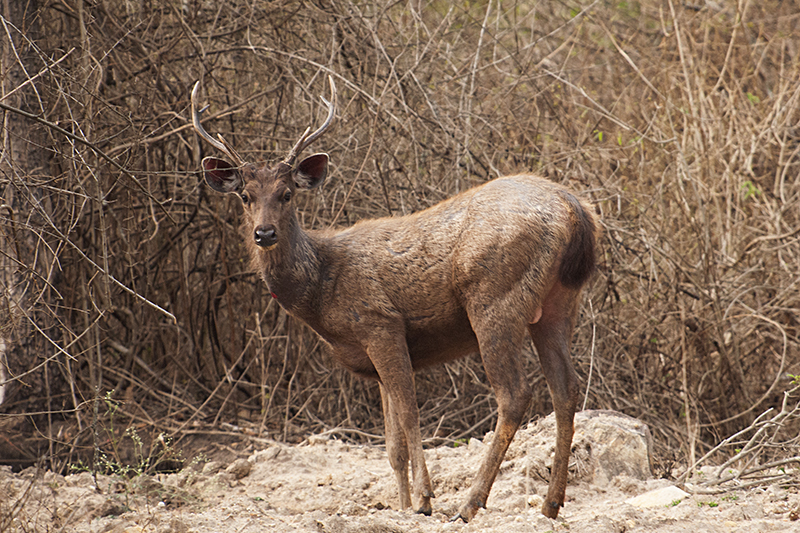 The lone Sambar Stag (below) was just curious to see us. While he stared at us, we got to frame him in a tight composition. 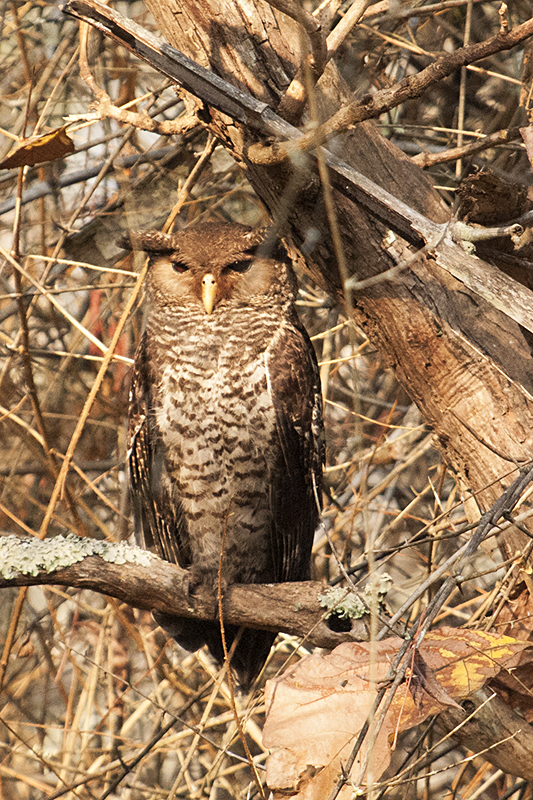 The sighting of the Spot-bellied Eagle Owl was the other high point. And last but not the least, it was the awesome sighting of the Bengal Tiger. This was undoubtedly the highlight of our trip, given that it happened on the last safari.